Based on an ancient Tibetan healing modality, Raindrop Therapy stimulates your lymphatic and immune systems, as well as activates your body’s natural cleansing pathways to balance and assist the body to heal itself. We begin with the application of pure organic essential oils on your feet and along your spine, then move to the Vita Flex technique of gentle pressure point massage. This combination stimulates every organ, muscle and bone on a cellular level to create balance and release toxins on all levels. 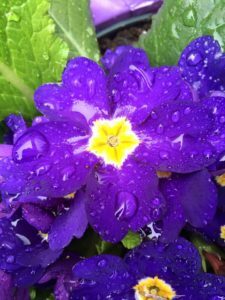 Many of my clients who have experienced Raindrop Therapy tell me that the effects of the treatment stay with them for much longer than a massage and it can even be an emotional experience. Raindrop Therapy is a powerful tool to release unwanted energy and restore balance to your system. 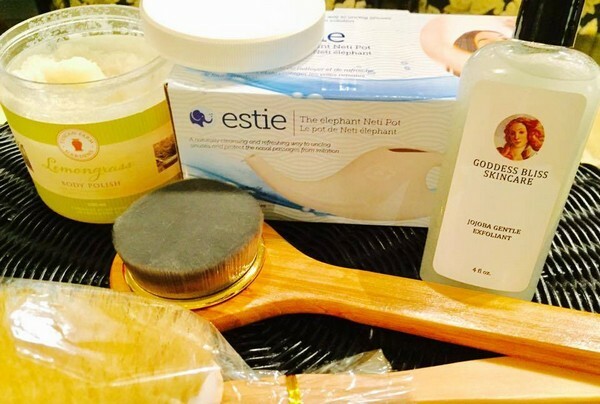 Feel your best this spring with these purifying products. If you have seasonal allergies then you need the Neti Pot in your life! This simple device clears out your sinuses and flushes out toxins. Use it every day to stimulate your lymphatic system and flush out metabolic waste. Works wonders for your skin too. Learn more about dry brushing. Similar to the dry brush, this brush features super soft bamboo charcoal bristles that are naturally antibacterial and work especially well for drawing out impurities. Use the sisal side to slough away rough patches then lather up with the bamboo side to cleanse and polish the skin. A rejuvenating gel-based formula with jojoba beads that dissolve as you massage it into your skin. Gently removes dead skin cells while depositing moisture. Use 1-2 times a week. Exfoliate, cleanse and moisturize in one step! Use after skin brushing or exfoliating for an uplifting and purifying experience. This oil increases circulation too. Closed Saturday, December, 22nd and re-open Thursday, December 27th from 11:30 am to 6:30 pm. Closed Friday, December 28th and re-open, Thursday, January 3rd at 11:30 am. Please call 250-754-1113 if you’d like to schedule your appointment. We have all heard the saying: put your best foot forward. But how about putting your best face forward?! How we feel and our health are usually readily apparent on our faces. Does our skin look fresh and radiant, or a bit dull and tired? If you answered yes to the latter, then it is time you support your skin health with regular facials. Genetics, hormonal cycles, diet, stress, hydration, and environmental factors affect your overall skin health. While you cannot control all of those factors, regular facials act both to prevent and treat the effects of skin damage. Fall is an excellent time to begin a regular self-care routine as your skin requires nurturing following the harsh effects of the summer sun. Having a facial is beneficial in many ways, even if your skin looks good. Fundamentally, it improves the health of your skin on a cellular level, which is key to aging gracefully. Setting aside me-time for yourself is also a wonderful way to lower your stress and feel your best. Facials can reflect your inner radiance by giving you a healthy glow! One reason why is that they improve circulation. Every facial includes gentle massage, which oxygenates cells to improve skin appearance. Once skin is refined, high-quality skincare products can be better absorbed, so you will see results faster. Hydration is a key step of your facial. The skincare products I use have a range of beneficial ingredients including antioxidants, anti-aging powerhouses, and plant-based hydrators for visible results. Experience collagen-stimulation and skin tone improvement following every facial. Facials access deeper than your skin surface. Did you know that there are 43 muscles in the face? They like getting some attention and even release too! Stimulating these muscles is important for long-term skin health. I also offer your choice of scalp or hand massage during your treatment. Massage=relaxation guaranteed! One question I am asked regularly is how often are facials required? Each person’s skin is different, but generally, I recommend a minimum of 4 facials yearly. Scheduling a facial with every season change is a wonderful way to give your skin a boost by removing the surface dead cells from that season and preparing the skin for the next season. Whether you have just begun to care for your skin more intensely or you have spent a lifetime caring for your face, making my Signature Facials a part of your regular self-care routine will nourish much more than just your skin! Please get in touch to book an appointment. I am a lavender lover and I love sharing this powerful herbal! I grow lavender in my garden and use my own dried lavender in the Spa and at home. 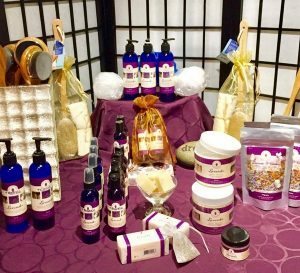 For my hand, foot and body care treatments, I use Tuscan Farm Gardens organic and natural lavender products like their phenomenal Lavender Body Polish, and Lavender and Neroli Body Oil. The soothing aroma of lavender activates deep relaxation and mental calmness. Lavender is an excellent tonic for anxiety and stress. Keep a dried lavender sachet by your pillow or spray diluted lavender essential oil on your pillow to ensure a peaceful sleep. Lavender essential oil has natural anti-bacterial and anti-viral properties, which are beneficial for your skin, and diffusing year-round. Dried lavender can be brewed into a comforting and soothing tea. Outside, plant lavender in pots on your deck or patio to repel mosquitoes. You can also apply diluted lavender essential oil on your skin for a natural insect repellent and mood booster. 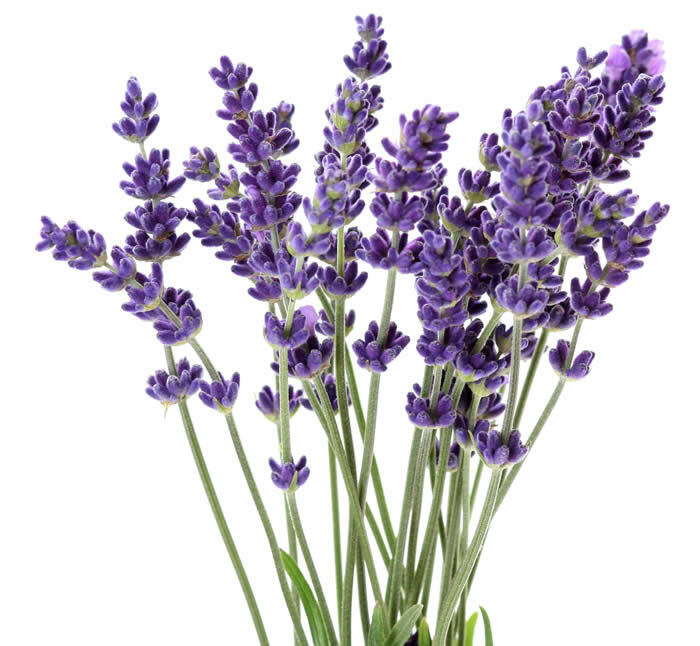 Lavender calms the mind, eases stress and tension, and when used topically, is a natural antiseptic and anti-fungal. And, because it aids in the formation of scar tissue and the reduction of inflammation, it works quickly to heal wounds, cuts, burns and sunburns. Integrate lavender into your daily life for stellar self-care! Tuscan Farm Gardens Lavender Bath and Body products are available at my Spa. They make wonderful gifts for Mother’s Day too! Olive Oil Soap: No synthetic fragrances of harmful ingredients, this hand cut soap has a calming effect both to the mind when it is inhaled and to the skin when it is topically applied. It is also known to relieve, insomnia, rashes, and is extremely effective in treating burns. Body & Hand Wash: Enriched with organic infusions of calendula, yarrow, comfrey, aloe vera and the conditioning essential oil of lavender. Relaxing and soothing in bath and shower. For all skin types. No sodium laurel/laureth sulphates and no parabens. Body Lotion: A luxurious lavender body moisturizer rich in vitamins and antioxidants. This lotion softens and hydrates skin with the moisturizing power of avocado oil, grape seed oil, shea butter, beeswax and cocoa butter. For all skin types. Body Polish: Turn your bath or shower into a healthy spa experience. Gently buff away old skin and encourage new cell growth. Exfoliate, cleanse and moisturize all in one step! Body & Room Spray: This true lavender spray cleanses (NOT masks) the air and refreshes the body. Perfect for in the car, at your desk, in the home and especially nice on your pillow to help ease you into slumber. Soothing Organic Balm: Organic and wild-crafted! This is a richly textured balm that quickly soaks into the skin to soothe dry, irritated skin. Excellent as a cuticle cream, for sunburned skin and for dry patches. Enriched with organic herbs to heal and hydrate. Bath & Body Oil: Made with sweet almond oil in its purest form, this lavender oil nourishes and softens dry skin. Soothe the senses while restoring moisture to the skin. It is ideal for bath, after bath or massage. Dolce Vita Bath & Body Oil: Neroli and lavender are both known for their calming qualities and great for relieving stress and tension, as well as promoting a restful sleep. Neroli is an exotic flower with sweet floral notes that mix well with lavender for an intoxicating scent. Lavender & Rooibos Tea: Cherished for its detoxifying and immune-booster properties, this refreshing herbal drink is caffeine-free. Calming and restorative. I am showcasing Japanese Mint Oil this summer for a cooling and refreshing spa experience! Japanese Mint is a source of menthol, which is a potent compound that acts as a disinfectant and decongestant. It has a refreshing and invigorating effect that many people find uplifting. 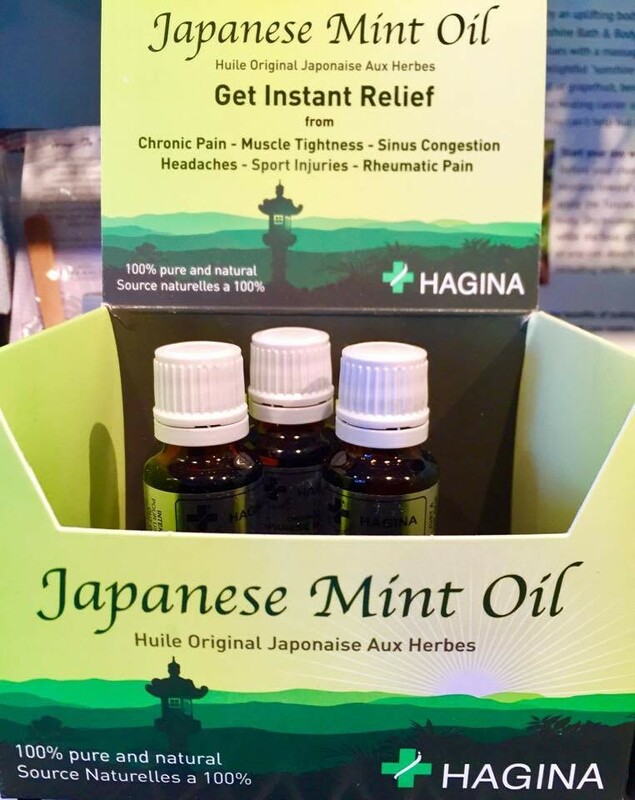 When used topically, Japanese Mint Oil has a stimulating effect that can improve circulation, relieve pain, help sprains, reduce muscle inflammation, and even ease cramps. It is known for being particularly great for the back because it soothes tension and reduces inflammation. For July and August, I am excited to be featuring Japanese Mint Oil in my Refreshing Back Massage, and my Foot Treatments. You can even purchase it at my Boutique!